An area in Central with potential for several thousand problems. There is minimal development to date and many new lines waiting to be cleaned and sent. Some of the rock is pure chose some excellent quality. It's a long way to Burns Oregon through the desert. Plan ahead and bring plenty of water and high-energy snacks. 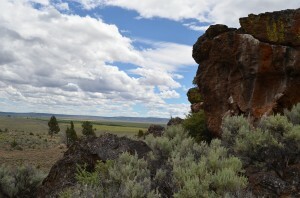 This is a remote bouldering area in a remote part of Oregon. 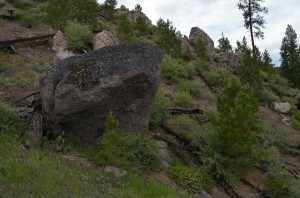 Climbing is allowed in Ochoco National Forest where the Bettermilks are located. Refrain from driving on roads marked closed. Pros: Literally tons of rock. 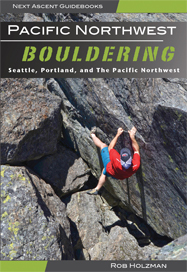 Many climbers have heard of the fabled “Bettermilks’, a bouldering area in a remote part of Central Oregon. The “Milks” are a play on words for the real Buttermilks in CA obviously. This area–the Bettermilks not Buttermilks–is a true new area with potential for new problems into the thousands. First off, it’s not better in any way than the Buttermilks. The Oregon doppleganger has many downfalls: It’s in the middle of friggin’ nowhere, there is a lot of chose, sharp holds, and it’s really spread out. The good points about this area though are that a lot of fantastci-quality problems do exist here. 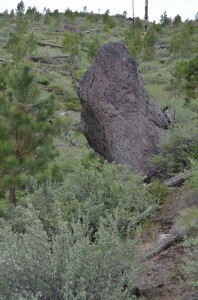 There are many areas with rock like Joe’s. 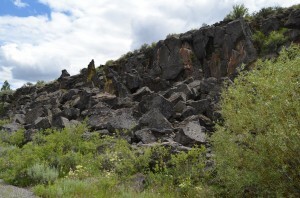 Some areas have a reddish color rock that is in many ways similar to The Mesa in Central Oregon and others like the Depot. Basically you just need to know where to go to get to the good problems. There are boulders that make houses look small here. There are thousands of boulders that go on for miles in all directions from the main areas. The place is really vast. There is a lot to like about this place but since it has minimal travel there are a lot of sections of really sharp and choosy rock. It’s best to go out and climb at the sections that are near the long cliff bands that form the mesas and table’s around many hillsides. These areas have the solid and high-quality rock. It’s a long drive out to this area so it if you are looking to go to a new place and develop a lot of new problems, this is a good spot for that. It’s hard to deny that there is actually rock all the way across Ochoco National Forest and all the way to the Badlands and all the way from there to Prineville and Bend. That’s a lot of rock to explore! Send us some beta on your sends at this spot and we will share them here.